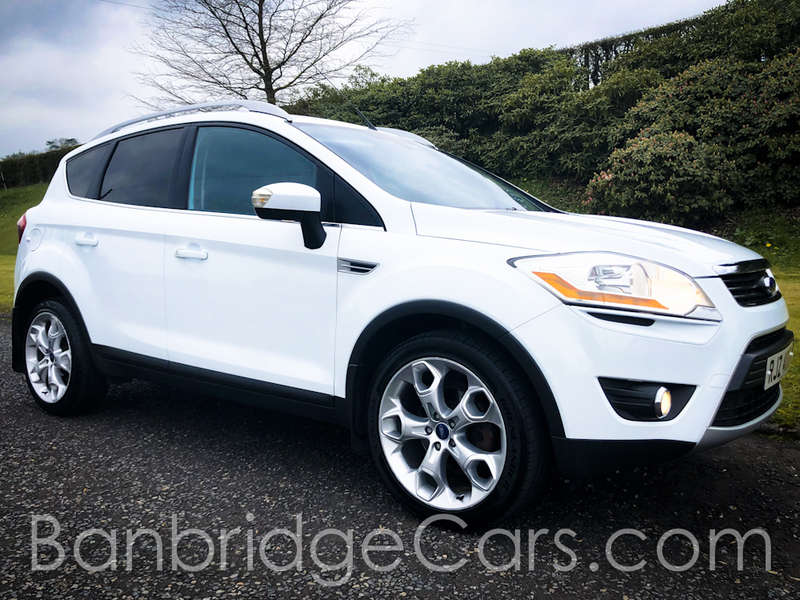 Finished In Frozen White And Complemented With Contrasting Half Black Heated Leather Interior. 93,000 Miles Backed Up With A Service History Including Timing Belt And Water Pump. 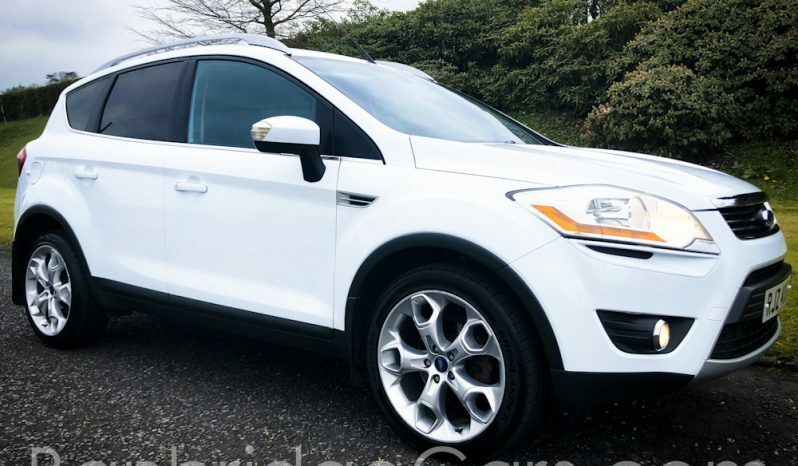 A Lovely Example Of This Sought After 2010 Ford Kuga 2.0 TDCi Titanium With A Huge Spec Including Multi-Function Steering Wheel, Bluetooth, Heated Front Windscreen, Rain Sensitive Wipers, Gear Select Indicator, Roof Rails, Unmarked Upgraded 19” Snowflake Alloy Wheels, Privacy Glass, Front Fog Lights, Park Distance Control, Cruise Control, Dual Climate Control, Air Con, Front And Rear Electric Windows And Mirrors, Remote Central Locking, 2 Keys, Isofix Child Seat Preparation And So Much More. Very Powerful Yet Economical 50+ MPG. Recent Full Service.